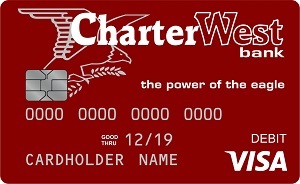 CharterWest will begin issuing VISA EMV chip cards on September 25, 2017. EMV is an abbreviation for Europay, Mastercard and Visa, the three organizations that initially developed the specifications. These specifications are an open-standard for smart card payments and acceptance devices. Chip cards are regular plastic credit or debit cards with an embedded microchip. The chip protects in-store (card-present) payments because it generates a unique, one-time code that is needed for each transaction to be approved. It is virtually impossible for fraudsters to replicate this feature in counterfeit cards providing greater security and peace of mind when used in-store. A chip card also has a magnetic stripe on the back of the card. They are relativity new to the U.S., but have been adopted by financial institutions in Europe, Latin America, Asia/Pacific and Canada already. In some countries, particularly in Europe, merchants may be more familiar with accepting chip cards than magnetic stripe cards. When will chip cards be accepted in the U.S.? Merchants have begun to deploy chip terminals, so you will see more and more merchants accepting chip cards. Magnetic stripe cards will continue to be accepted. In most cases, you’ll sign for credit purchases and either sign or enter your PIN for debit purchases — just like you do today. You may not be required to do either for certain types of transactions involving relatively small purchase amounts. What can I use my chip card for? You can continue to make purchases as you always have — by entering the card number online, providing you card number over the phone, or swiping your card at merchant locations that do not yet have chip readers. You can also continue to use your card at ATMs. Where and How can I use my chip card? You can use your chip card anywhere you see the Interlink and/or Visa logos. You can swipe your card just like you do today using the magnetic stripe on the back of the card. Most often, merchants that haven’t activated their chip card capable terminals will block the chip slot. If you insert your chip card into a non-activated terminal a prompt on the screen will advise you to swipe your card using the magnetic stripe on the back as you do today. Until the technology is available everywhere, chip card acceptance may vary by type of payment card at some merchants. If the terminal is activated for chip the terminal or cashier will prompt you to insert and leave the card in the terminal until the transaction is complete. If you swipe your card at a chip-activated terminal a prompt on the screen will advise you to insert your card and follow the instructions. Can account data from an EMV chip card be stolen and fraudulently used? While EMV chip technology generates a one-time use code that’s difficult to counterfeit, the account information may still be subject to compromise. Notify CharterWest Bank immediately of any unauthorized use. As a Visa chip cardholder you are also protected by Visa’s Zero Liability* Policy, a guarantee that you won’t be held responsible for unauthorized charges made with your account or account information. You’re protected if your Visa chip card is lost, stolen or fraudulently used, online or offline. Information compiled from Visa and EMV Connection.